You decided to adopt a Siberian kitten into your family. Congratulations! We think it’s a great idea 🙂 Now you will probably be looking around for prices. 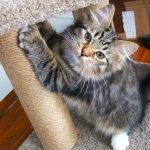 What is an average price for a Siberian cat or kitten? On average, you may expect to pay a price of anywhere from $1100 to $1700 for a purebred Siberian kitten. That may seem like a lot of money, but remember, you are looking for a friend and a companion for the next twenty years of your life. Pets are generally costly, but purebred cats (or dogs) are especially pricey. That is because there are a lot of expenses that go into the kittens that result in a high price of a Siberian cat. A good breeder will have to spend a lot to breed a perfect Siberian kitten with great looks and solid personality, and then raise that perfect kitten in full health. 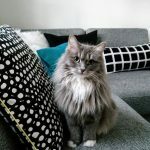 The variation of a Siberian cat price may depend on whether your chosen breeder does a genetic screening, micro-chipping, and spays/neuters the kitten in early age, as well as on some other factors. 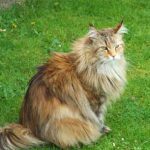 Why do Siberian cats cost so much? You will be surprised, but really, purebred kittens are not expensive at all compared to how much rearing one kitten costs to the breeder. Some of the expenses that breeders have to incur to raise a healthy kitten include: owning and maintaining the breeding cats (males or females) in full health, including their keep, vaccinations, genetic testing, any occurring vet costs, breeding costs, showing the cats in cat shows, registration fees etc. All of this comes to a lot of expenses a breeder has to incur to be able to breed cats. Breeders also have to pay for kitten-rearing equipment and all consecutive expenses, such as kitten food, toys, vets, vaccinations, screening, as well as advertising kittens, website expenses (a good breeder has to have a good website!). Add to that all the time the breeder spends tending to cats and kittens – the time that usually isn’t compensated. And any breeder will tell you it’s hard work! All of the above is just a small part of the financial and emotional expenses the breeder has to pay to be able to maintain his or her work of supporting and developing the breed. No surprise that Siberian kittens come with a hefty price! I can assure you though that they are definitely worth it. After all, you are getting a pet, a friend and a companion that will be with you for the next couple decades and who you will love with all of your heart. However, because the kittens are fairly expensive and because you really want a healthy, good kitten, you need to do your homework well before choosing a breeder. Here are a few things to pay attention to as you browse the internet in search of your kitten. If someone offers you a kitten for the price that’s way outside of the mentioned above range ($1100 to $1700), beware. 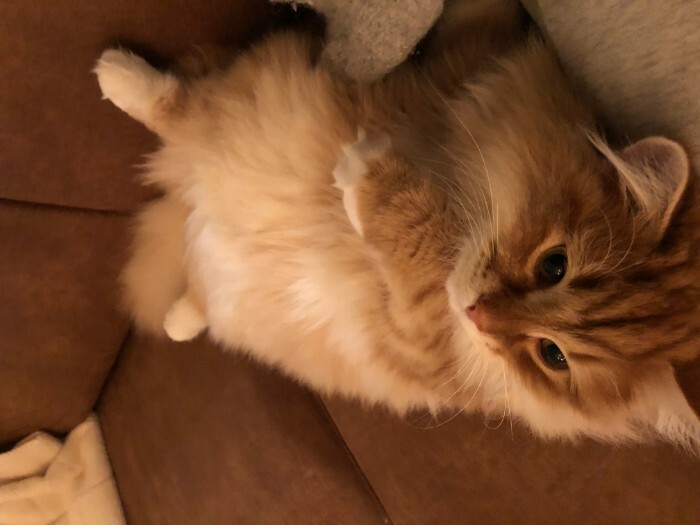 It may be OK if it’s $1000 or $1800, but if you find an ad for a $600 Siberian kitten, it’s definitely a red flag and something you should avoid. A kitten cannot cost so cheap. 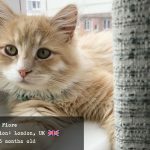 If someone is really trying to sell a kitten that cheap (way cheaper than average market price – why would anyone do that? ), it is a sign that something is not quite right. 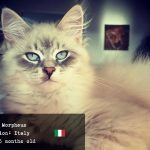 It is possible that a kitten has a known disease/condition, and the breeder (a bad breeder!) is trying to quickly get rid of them. That is if the kitten even exists! With the advance of internet technologies and the growing popularity of the Siberian breed, there are also lots of scammers trying to make money on unsuspecting kitten lovers. Never respond to the ads if you see ridiculously small prices for Siberian cats. Always check the breeder’s website. It should be a legitimately-looking website with detailed information about the breeder, their location, their contact info, and pictures of them and their cats and kittens. Breeders also often have information on their lines and genealogy of their cats. Having said that, even if the breeder does have a legitimate looking website, still, do more research and don’t trust any requests to send a non-refundable deposit until you are sure they are legitimate. 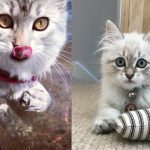 Anyone can create a website these days, and there are plenty of photos of Siberian cats online that anyone can steal and put on their own website. Some of the ways to check if the breeder really is legitimate are the following. It will most likely be a Facebook page. See if they even have one! Usually, breeders do, because they normally enjoy showing pictures of their cats and kittens and connect with other people working with the breed, as well as their kittens’ new owners and other people who are in love with the breed. If you see a Facebook page with lots of followers and pictures, you can be sure the breeder is legitimate and also that they are excited about what they do, which means they love their cats, which means you get a bigger chance to get a healthy kitten! 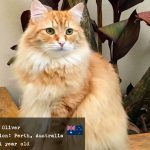 If you found the breeder you are interested in, Email them and ask them about their cats. You can ask anything, the important thing is what and how they answer. Are they happy to get back to you? Do they talk in detail about their cats and litters? Do they push you into buying a kitten right now or “it may be gone if you wait”? That is a huge red flag and a sign to run in the opposite direction. Never let yourself be influenced by a breeder that tries to get you into a hasty sale. Good breeders will not want you to make a hasty decision about their cats. They themselves want to see that you have taken your time to think and have made a good decision to get their Siberian kitten. That gives them more guarantee that their lovely kitten is going to a loving home and that you are a responsible person that have thought it through and really are committed to a kitten. If you feel like a breeder doesn’t care to ask about your personal details and is just in a hurry to sell, that means one of the two. They are either not a good breeder in which case you may get a host of problems with your new kitten. Or they are a scammer. A breeder (a legitimate one) will likely ask you for a non-refundable deposit on the kitten, but only after signing a contract. If a breeder doesn’t offer you a contract, it isn’t a good sign. There are a lot of important things to be stated in the contract, such as clauses about spaying/neutering and never de-clawing your kitten. It will be extremely important for any good breeder to get you that information in written form and to have you sign it as they care very much about their animals. Only agree to pay a deposit for a kitten after you have signed a contract. In addition to that, never send cash. Use only those payment methods that can be tracked in case something happens. A breeder will rarely ask you to send payment in full amount for the kitten before you actually get the kitten. Usually, you would pay part as a deposit and the rest when you pick your kitten up. 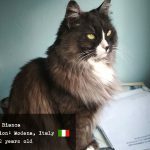 To further check a breeder and their reputation, google their name and the name of their cattery, and add word “reviews”. See what you find. If you find lots of good reviews and positive mentions of your breeder, it’s a good sign. If you find bad reviews, steer clear. Of course, there are always people that are unhappy with everything, so if it’s just one bad review among lots of good ones, it may not really mean much. But you probably already know that. Ask to see multiple pictures of your future kitten. Never go with the breeder that is only willing to show you one and just one image of your kitten. Ask for multiple photos! As for one where you kitten was younger. If the kitten is real, your breeder will have lots of pictures to choose from and to show you. It’s a natural part of their work and shouldn’t raise any questions. If you feel that the breeder isn’t willing to do those extra steps in your direction, or worse, is aggressive/negative towards you, it’s best to go with someone else. 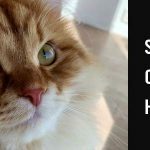 Since the breed is becoming more and more popular, there are lots of Siberian cat breeders these days and you can easily find someone that will suit you just right and will give you your perfect kitten. Remember that finding a kitten may take considerable time. Kittens are not a product or a thing you can buy at a store, that comes off a conveyor belt. Pregnancies in cats are thoroughly planned and it takes time for a litter to be born and for the kittens to mature to when they can venture on their own to their new homes. Don’t rush because you want a kitten right now! Think about it more, do your research, contact several breeders in your area. (Or outside of it, as you can pick up your kitten or a breeder can ship it to you if it’s within reasonable distance). Remember, you are looking for a long-term friend and companion, and such matters can’t be hasty. Good luck with finding the perfect kitten for your family! P.S. 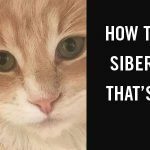 You can find some more tips on how to choose a good Siberian cat breeder here in this post. 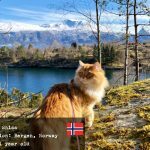 *This article on Siberian cat price is relevant for 2018-2019. Thank you for the information. 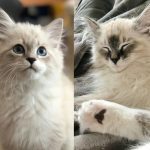 My wife and I are currently looking into purchasing a 6 week old siberian kitten for $1200 and are worried about the additional costs in the first year. We are researching a lot about the topic right now but sadly there are so many conflicting numbers! 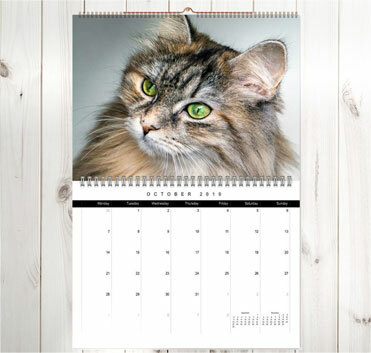 Can you maybe ellaborate a bit more on the costs of a siberian kitten during the first 12 months? And I don’t mean the purchasing price or process. You know like, after we have purchased the kitten. We are planning wth around $1400 in the first year but there are numbers out there that make us go crazy. We are a little bit on a budget and only $200 (so maybe $1600+) could throw us off completely. 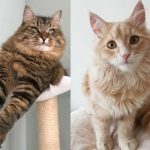 This blog post (https://thecasualcatblog.weebly.com/blog/the-costs-of-raising-a-kitten-a-complete-guide) even says it can be up to $2500 (not calculating in the purchase price)! That would be a crazy increase and it would break our hearts to put the kitten into a shelter 6 months into raising it. Could you maybe tell me a bit more about the costs following the purchase? What’s you take on that? There are actually 2 parts to this question that I’d like to focus on. One – you mentioned you are looking at buying a 6 week old Siberian kitten. 6 weeks is still very young for the kitten to be separated from its mother. Respectable breeders will not sell their kittens until they are at least 10-11 weeks old. Normally it’s about 12 weeks. This is very important, because kittens of younger age than 12 weeks will not have an array of skills and behaviours that they need to successfully live on their own. This inludes eating on their own, using the litterbox and being properly socialized with humans and other animals. Kittens learn a lot of behaviour from their mothers. If you separate the kitten too early, you migth have serious issues trying to socialize your kitten, teach it to use the litterbox and eat. Most of all I would doubt the breeder’s motives if they are willing to sell you a kitten before twelve weeks of age. No respectable breeder would do it. Just to be safe, I’d double check the breeder. Secondly, about the costs. Normally, I don’t think you would have to incur huge costs apart from the buying price of the kitten, some supplies and toys and bedding for them, and of course, food. You might also need some funds for vaccinations, but usually all necessary vaccinations are included in the buying price, as well as neuter/spay of the kitten. One thing to be prepared for is possible health conditions you may encounter, in which case of course it means vet bills, possibly necessary medication costs etc. An accident is also a possibility (a broken paw etc) although Siberians generally are pretty sturdy. All in all, I wouldn’t be super worried about lots of additional costs, but definitely keep in mind that thay may occur. I am not quite sure if I understood correctly from your comment: are you planning on 1400$ not including the kitten price, or including it? If you are planning to spend 1200$ for the kitten cost + extra 1400$ for the first year, I think you are all set. If it’s 1200$ just for the kitten and 200$ per first year, then it mig be trickier if a health issue occurs. Knowing that anything can happen, I migt almost suggest staying on the safe side and maybe putting off getting a kitten until the time when it’s easier budget-wise. I will also ask around in our siberian cat community and see what other people think.